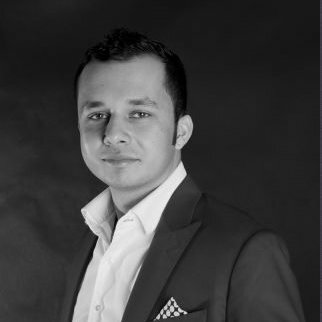 Omar Taheri is the founder and CEO of Spark Plus, a corporate access business that makes life easier for the buyside. Spark Plus is specialized in doing non-deal roadshows for listed companies, providing them access to thousands of investors in the Asia-Pacific region. The investor base includes hedge funds, family offices, mutual funds, private banks, and high net worth investors. Omar has a multicultural background: he was born in India, moved to Germany when he was 2 years old, and went to high school and university in Australia. He’s been living in Singapore for the last 5 years. He’s had many years of experience working in the hedge fund industry. As Head of Business Development at Swiss-Asia Financial Services, he helped grow their hedge fund platform business and incubate start-up hedge funds in the region. Omar also founded an events business, a company called The Fundies, that helped him build a network of hedge fund professionals across Asia-Pacific. Keep on reading to find out more about Omar’s favorite books, how he conquered his fear of failure, and the book that helped him understand the best way to launch a startup. Estimated reading time for this interview is 6 minutes. If you'd rather listen to it, you can do it on iTunes, Google Play or Stitcher. My favorite book on the business side would be “Tools of Titans” by Timothy Ferriss. The reason is that I was able to learn from top performers in their respective industry be it from health, business and spirituality. The book dives into how elites of their respective industry think, perform, and dives into their “drive”. To be able to understand what an elite business leader who founded a listed company is driven by is very intriguing to me and gave me the confidence to set up my own business. My non-business book is a classic by Dale Carnegie titled: ”How to win friends and influence people”. The reason I enjoyed this book many years ago is that I had suffered with social anxiety. The book allowed me to understand that I should not be afraid of speaking my thoughts, putting ideas out there and sharing stories with friends. I highly recommend this book to anyone who wants to get out of their shell and develop their confidence. The moment I had that realization by reading that quote over and over again, the more hungry I became into achieving my goals without having the fear of failure. Failure is just a lesson we all need to go through to get us to the next stage. Once again I must say Tools of Titans stands out. The book interviews 200 world class performers in their respective fields. Now I believe that we are all born with the same brain but have factors we can’t control such as timing, family, and access to education. I realized that perhaps I didn’t have the best of opportunities that many of my friends who grew up in a stable home, with a certain socioeconomic background had. But I do sincerely believe that anyone can be successful depending how bad they want it. Tools of Titans allowed me to realize that there is not a formula for a successful person but many of them come from different walks of life. If you want something bad enough, you will get it. Never give up and don’t think you are less than someone else. Your path is your own to be proud of and no one can take that away from you. My career path as an entrepreneur is one that many think is exciting and fun. But be aware that it’s not always that way. One needs to really grind and be consistent. Emotions need to be controlled. A supportive inner circle of friends is very important. The Lean Startup by Eric Ries gave me an understanding of how one should launch a start-up with the concept of minimum viable product. The concept is about creating a simple test case to see if you have a viable product before going all in and spending hundreds of thousands of dollars into a product. I used a sample case of people subscribing 10 times to my product before I realized you may have a sustainable business. Anyone who is young and wants to save making a lot of mistakes on the start-up phase please go out there and get this book.